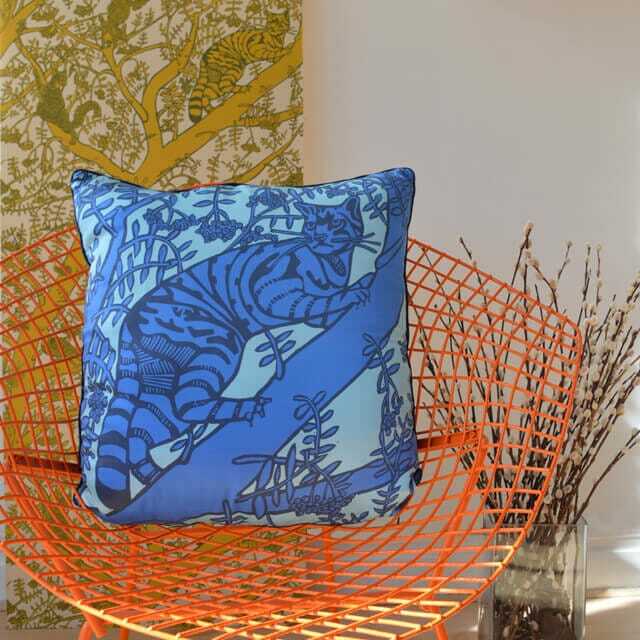 This bold block printed design features the Wild Cat, one of the rarest animals in the British Isles. Little Axe Cushions are digitally printed and feature Ursula Hunters signature hand coloured Lino blocked designs. 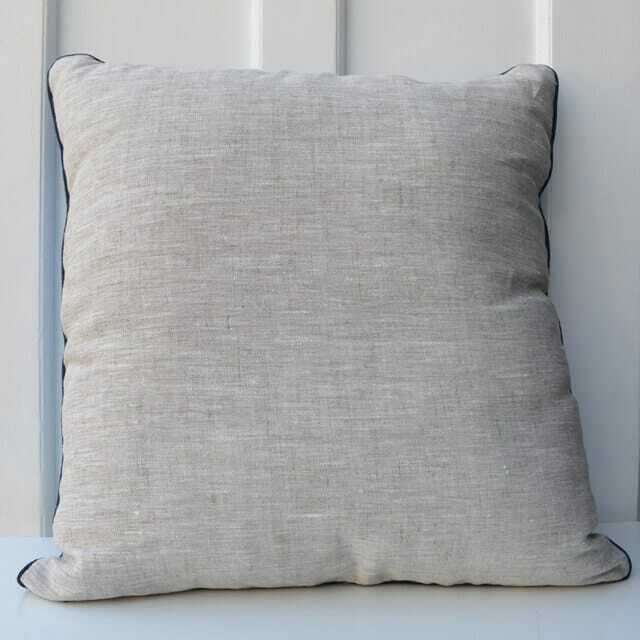 All of our cushions are hand sewn and edged with piping in a complimentary colour. 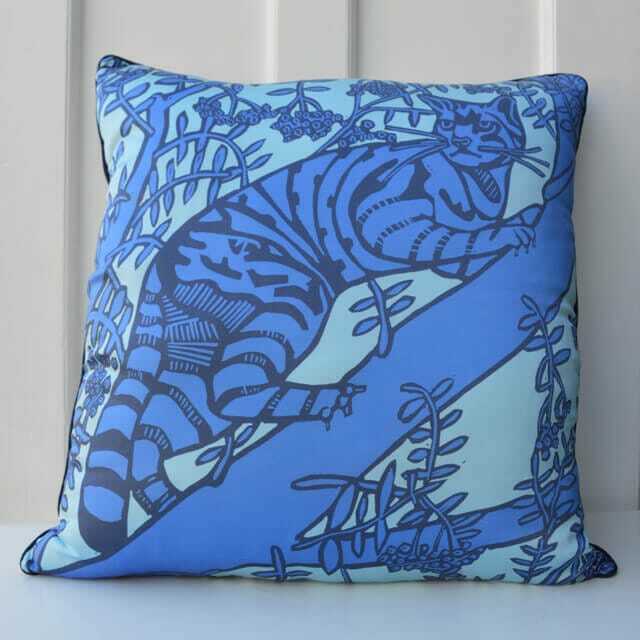 The design is an extract from my Endangered Animals repeats block printed pattern that illustrates some of the rare animals that are disappearing from our landscape. Celebrating the wild this design aims to remind us of our relationship to nature wherever we are. All of our products are handmade in Scotland. The cushions are backed with plain Linen. The cover is washable at 40°c.